UPDATE: After many months of eyeballing a 1950 Callaahan PSA 9 on eBay and watching the price be consistently lowered, I finally pulled the trigger at $56 in June, 2016. I went to the 4 Sharp Corners website and leveraged the 10% off deal for the week and picked up a ½ bump upgrade. I figured the price was ok and wanted something I could register with PSA. 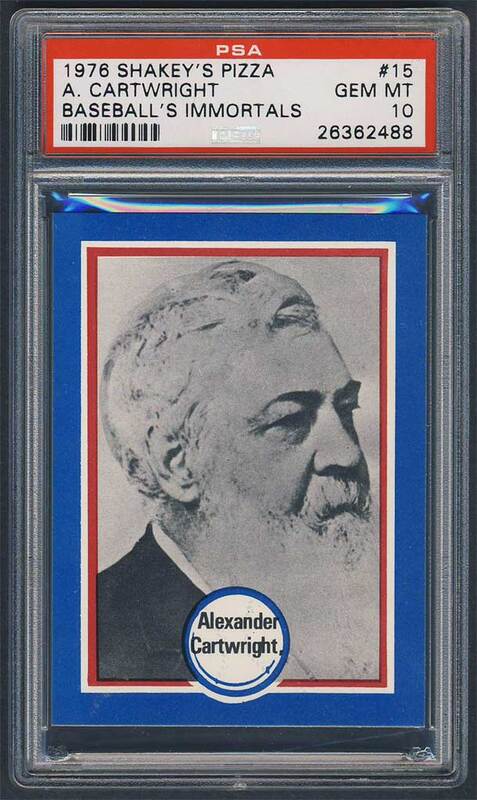 Hopefully, I can sell the SGC 92 example to recoup some of the cost. UPDATE: I have several 1950 Callahans in my collection and most of them are considered tribute cards – issued post career. 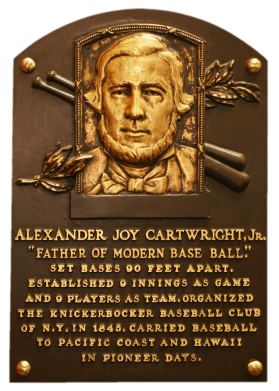 Items contemporary to Alexander Cartwright’s career are far and few. I owned several 1977 Shakey’s cards and really like them. 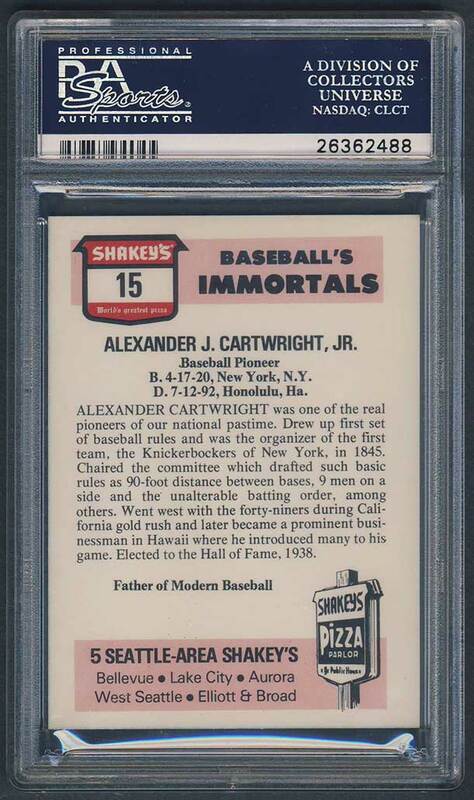 So, when a PSA 10 of Cartwright showed up on eBay I had to pick it up. I jumped out of bed and ordered the item from the 4 Sharp Corners website to take advantage of a 10% discount. The card was mine! Description: Between 1975-77, the Washington State Sports Collectors Assn. worked with Shakey's Pizza chain in the Seattle area to produce and distribute several sets of "old timer" cards. Generally one card from the set was given away to hobbyists attending the club's annual convention, with other cards available at the pizza places. Complete sets were also widely sold within the hobby. Interpretation of whether these are "legitimate" cards or a collector issue is up to eachy collector. 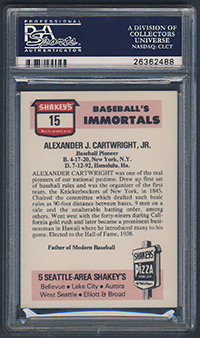 The 1976 cards were issued in four series: Hall of Fame, Greatest Players, Immortals, and All-Time Greats. 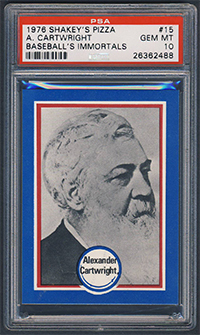 The format was identical, with the (approximately) 2-1/2" X 3-1/2" cards featuring black-and-white player portraits on the front, surrounded by a red frame and bright blue border. Backs are in red, black and white with large Shakey ads at top and bottom. Also on back are player biographies and career stats. The cards were issued in order of the players' induction into the Hall of Fame. All four series are skip-numbered.